We’d love your help. 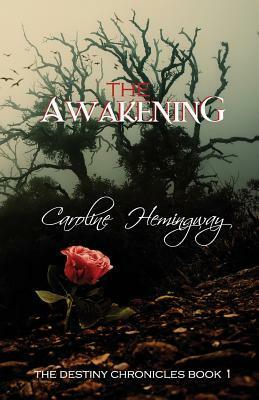 Let us know what’s wrong with this preview of The Awakening by Caroline Hemingway. To ask other readers questions about The Awakening, please sign up. Never-ending battle between good and evil and a tale as old as time with a few new twists. Sentence that really stuck with me is - We need faith to see, hope to dream and love to be. - nicely put. The Awakening, by Caroline Hemingway, is my one hundred and twenty fifth book that I have received and read from Goodreads. I really enjoyed reading this story. The story reminded me a lot of the bible. The story starts with the Hamilton family journey to Griswald, where the family is moving. It is a place that was beautiful and magical, now it's turning to a desolate place. The Hamilton family build a house. They have four children. Over time the family makes friends and become leaders in the c The Awakening, by Caroline Hemingway, is my one hundred and twenty fifth book that I have received and read from Goodreads. I really enjoyed reading this story. The story reminded me a lot of the bible. The story starts with the Hamilton family journey to Griswald, where the family is moving. It is a place that was beautiful and magical, now it's turning to a desolate place. The Hamilton family build a house. They have four children. Over time the family makes friends and become leaders in the community. One night while asleep tragedy strikes and changes their lives forever. During the night Mac Hamilton, father wakes up becoming aware of billowing clouds of smoke throughout the house. He wakes his wife Imogene, and the children Aislinn, 14 year old daughter, Stroun 12 year old son, Maddy 8 year old daughter and Mitchell 2 year old son. Mac tells Imogene to get the kids out, that he thinks they are under attack. Mac takes his sword out. Mac and Imogene are killed and the four children are taken away. They are taken to the Dark Lords castle, ruler of Griswald. They are locked inside the tower's room. The Dark Lord is known as the Dark Lord, Sephtis, and Legion, in the bible he is the Devil. In the story Mac and Imogene are brought back to life from the dead and are taken to the Great One, to the city of Lionsgate, city of the Great One. The city Lionsgate is Heaven and the Great One is God. They meet the Great One and he introduces them to his son Ziah, (Jesus). In the story they plan on rescuing the children. The way to rescue the children is by the Great One giving his son Ziah to the Dark Lord In exchange for the children. The rest of the story I am not going to tell. You will have to read this book to find out what happens to Ziah, and the rescue attempt. I would recommend this book to children up through adults. I was born in Pietermaritzburg, South Africa during the peak of the apartheid years. As a result I am passionate about human rights and helping the community to gain awareness of issues facing our modern world. I trained as a Primary School teacher and spent years teaching and lecturing before giving it up to go into the non-profit sector with my husband Hamilton. Together we took on the adventure I was born in Pietermaritzburg, South Africa during the peak of the apartheid years. As a result I am passionate about human rights and helping the community to gain awareness of issues facing our modern world. I trained as a Primary School teacher and spent years teaching and lecturing before giving it up to go into the non-profit sector with my husband Hamilton. Together we took on the adventure of relocating to the South Island of New Zealand with our three children to establish our project. Learning to adapt to a new culture was a delight and inspiration to me. An event that changed our family’s life and purpose led us to relocate and start afresh on the North Island of New Zealand. I began writing as a therapeutic exercise after personal trauma and discovered the power of words and the freedom that writing brings. I began with short children’s stories followed by the Awakening – book 1 of the Destiny Chronicles. 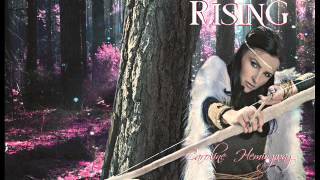 The Reckoning (BK 2) and The Rising (Bk 3) soon followed. Writing is a great love and a way to express my thoughts. In 2010 an opportunity came for us to relocate to Melbourne Australia where I currently live with my husband and four children. We also share our home with children in foster care, numerous goldfish, four chickens and a guinea-pig. I continue to write about anything that inspires me. I blog about our journey to find a simpler life and I'm currently working on the fourth and fifth books in the Destiny Chronicles (between playing supermom and wonder woman to my family).